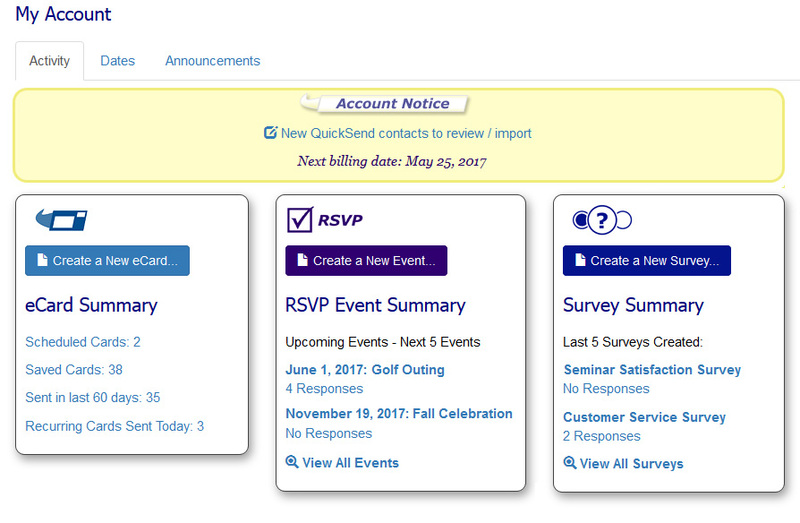 With QuickSend you can see who viewed your eCard and easily add them to your address book. Go to eCards > Sent Cards in the navigation and find the eCard you sent using QuickSend. QuickSend eCards have a QuickSend icon next to them. You can view the eCard tracking information like any other sent eCard. 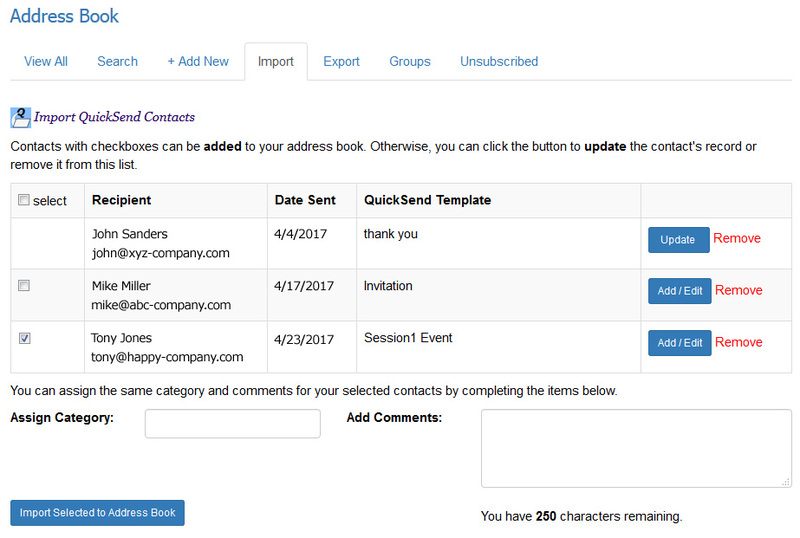 When you send a QuickSend eCard to someone who is not in your address book, or to someone with the same email address but who has different contact information, this information is now available for you to import into your address book.